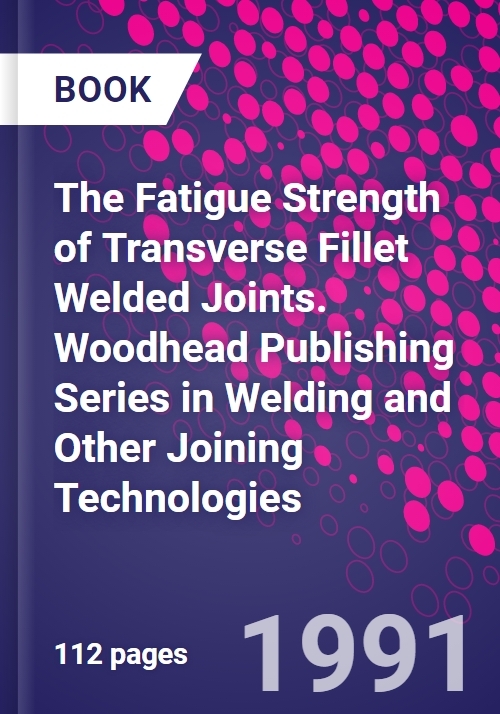 This report is the result of a major study on the influence of both main plate thickness and of attachment size on the fatigue strength of joints with transverse non-load-carrying fillet welds. In particular, it defines the extent to which the size of the attachment might influence the thickness effect in such joints. Through a whole range of different tests, the study confirms that the present thickness effect correction for certain types of joint is too severe. Fracture mechanics calculations; Fatigue tests; Fatigue test results and discussion; Outcome of the work. Gurney, T RDr Tim Gurney worked at TWI (formerly the British Welding Research Association) for over thirty years, during which time his primary interest was in the fatigue of welded structures. He has written or co-authored over fifty papers throughout his career.